Pesticides don't respect national borders. Tons of agricultural chemicals cross international boundaries every year, either through the international marketplace or carried by wind and water currents. 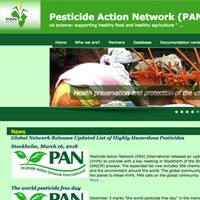 PAN International was founded as a global network in 1982 in response to the fundamentally international nature of the pesticide problem. The network now links over 600 groups, institutions and individuals in more than 90 countries. We work through five independent, collaborating regional centers. Explore the interactive map above or see the links below to visit our partners around the world. PAN Africa works with volunteers, NGOs, farmers’ organizations, institutes, universities and individuals who support the adoption of sound ecological practices in place of dangerous chemical pesticide use. The African center was established in Dakar, Senegal in May 1996. 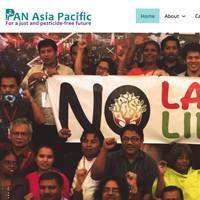 PAN Asia and the Pacific is dedicated to ensuring the empowerment of people, especially women, agricultural workers, farmers and peasants. The center is commited to protecting the safety and health of people and the environment from pesticide use. 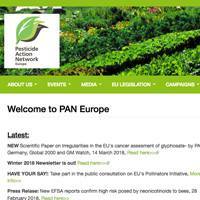 PAN Europe is a network of European NGOs promoting sustainable alternatives to pesticides. A major focus of PAN Europe's work involves initiating Europe-wide policy measures to facilitate a broad-based reduction in pesticide use. PAN Latin America es una red de organizaciones, instituciones, asociaciones e individuos que se oponen al uso masivo e indiscriminado de plaguicidas. Fomenta alternativas viables para el desarrollo de una agricultura, socialmente justa, ecológicamente sustentable y económicamente viable, que permita alcanzar la soberanía alimentaria de los pueblos.